On what kind of occasion do you open your heart to someone you have met for the first time? In what kind of situation do you help someone next to you? For what kind of reason do you trust someone, entrusting them with your own vulnerability? We were living together and participating in a workshop in the mountain, away from everyday life. The camera crew stayed there as well, documenting the whole scene. I was there, you were there, and none of us know what it means yet. We cooked, read, enunciated, moved around, conversed, thought about society, did pottery and discussed. In a small society, we confirm our own positions, re-question our roles and sometimes find ourselves at a loss. We encounter the other, and care about that other in this way. You try to be together with someone you barely know, or even with others you can barely understand. To some, this situation is a natural one, while to others, it is something difficult to accept. The situation in this 6-day workshop may be provisional, artificial and temporary. However, if it is possible even temporarily, is it not possible whenever, wherever and with whatever? This exhibition marks the first large solo exhibition of Koki Tanaka in Japan. The artist has drawn much attention in recent years for his activities of seeking an alternative perspective and attitude to current social situations and existing frameworks, conducted through a variety of means such as video documentation, installation, writing, performance and organizing events. In the 55th Venice Biennale in 2013, Tanaka presented video works that included one that showed five potters working together on one pottery. Representing the beauty and difficulty of the act of collaborating on one thing, his works received international acclaim. 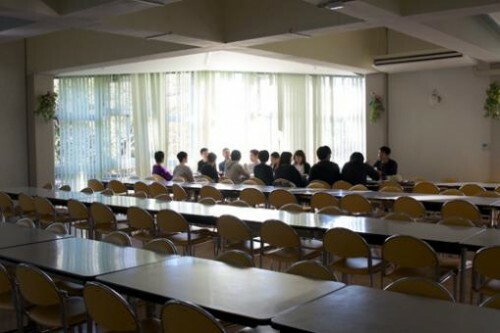 This exhibition focuses on Tanaka’s interest after 2010, when he started to be interested in the activities of collaboration, with his new work at the center along with his activities in recent years. The new work produced for this exhibition is based on the six-day lodging and a series of workshops conducted during that time, in which general participants, facilitators and camera crews stayed together under one roof. Throughout the six days, which consisted of reading, cooking, making pottery, workshop related to social movement, discussion, interviews and so forth, the opportunity was there for everyone to think, to have dialogues and to practice about moving and community. In the exhibition, several video works based on the video documentation of the workshop are exhibited, along with items such as notes the artist made during the production. 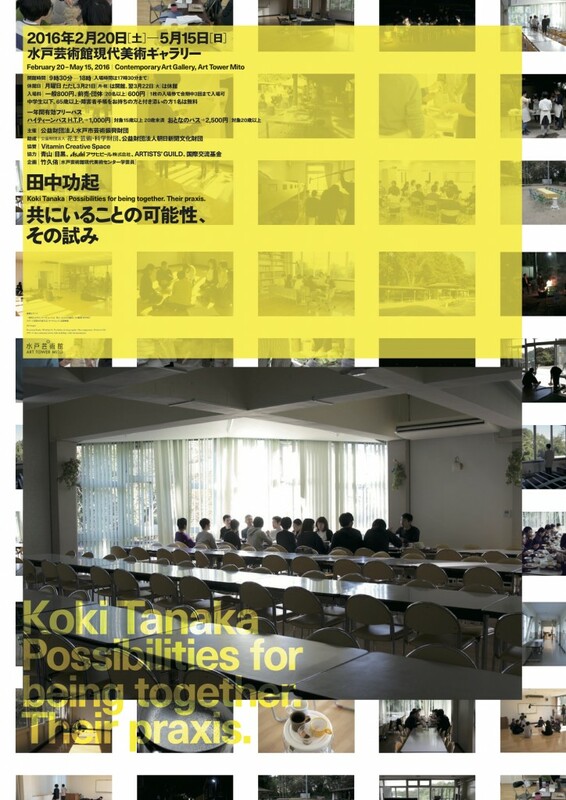 Koki Tanaka: Possibilities for being together. Their praxis.